When the Narn attack a Centauri colony, Londo and G'Kar nearly come to blows. Meanwhile, raiders are attacking transport ships near the station. 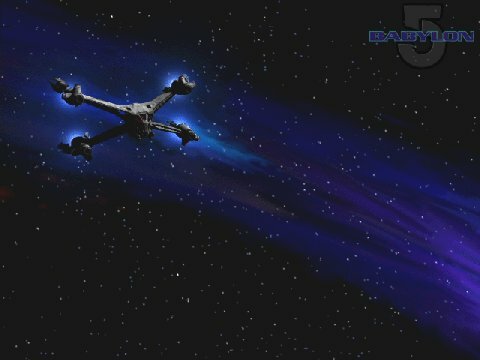 A second, better pilot episode illustrates the Narn-Centauri conflict, and re-introduces the main characters of the show. Delenn is in danger when a soul hunter, an alien who captures the souls of the dying, arrives at the station. Minbari beliefs / Delenn's background. Londo's career is in jeopardy when a beautiful slave seduces him and steals a sensitive computer file. Garibaldi investigates an unauthorized use of a restricted communications channel. Centauri culture explored; numerous references to this episode later. An archaeologist smuggles ancient artifacts onto the station, unleashing a living weapon. The show's creator (J. Michael Straczynski - JMS) is on record about this episode as saying "I'd just kinda prefer it if it kinda vanished in the night." Sinclair's old flame, Catherine Sakai, arrives during a weeklong festival when humans and aliens demonstrate their religious beliefs. An old enemy sends an assassin to kill G'Kar. Talia's old Psi Corps instructor, the victim of a secret experiment, is the target of a manhunt involving the Psi-Cops. Catherine wants to survey a promising planet for possible mining, but G'Kar warns her to stay away. Bester, the arch-villain, is introduced here. Viewers will also get a glimpse of one of the First Ones: Ancient, mostly departed alien races. A violent attack on a Minbari poet rocks B5 and leaves Sinclair scrambling to flush out a vicious pro-Earth group. Two star-crossed young Centauri lovers seek Londo's protection. Ivanova is shaken when a man from her past arrives at the outpost. Not a critical episode, but entertaining. It shows the direction Earth is going. Sinclair is kidnapped and interrogated by members of a pro-Earth group, determined to find out what transpired when the commander was briefly missing in action during the final battle of the Earth/Minbari war -- something Sinclair has never been able to remember. Actually the episode is not bad, but all the revelations/info is repeated in the tele-movie "In the Beginning." The station becomes a hotbed of galactic controversy when Sinclair is forced to protect a notorious war criminal -- a scientist who's invented an immortality serum. Ambassador Kosh hires telepath Talia Winters to oversee a very unusual negotiation. Dr. Franklin asks Sinclair to intermediate with an alien family who, because of their religious beliefs, refuse to allow surgery that would save their dying child. "Believers" reminds me of a Star Trek episode (ie You could miss it, and never notice), but the ending is more courageous. Garibaldi's past catches up to him, with some disastrous consequences. He's blamed by some for an accident aboard B5, which leads to hitting the bottle again after a prolonged abstinence. I'm so tired of lead characters being framed for some crime, and going undercover to vindicate themselves. There's nothing here about Garibaldi that you wouldn't learn elsewhere. An accident in the docking area kills a worker, threatening to spark an illegal strike. Londo interferes in an important Narn religious observation which leads to a confrontation between him and G'Kar. A sharp increase in raider activity has the station on the defensive. Londo obtains a priceless Centauri artifact. A mysterious stranger visits the station's alien ambassadors. A critical episode: The Raiders are neutralized, Mr. Morden shows up for the first time, and viewers see their first glimpse of the Shadows. An old friend of Garibaldi's arrives and tries to take part in a dangerous alien combat sport. A rabbi helps Ivanova come to terms with her father's death. OK, the two plusses (++) are purely personal bias; I enjoyed the fight, and Ivanova deals with her past. Many people hated this episode. A traveller comes to B5, seeking the Holy Grail. A series of unexplained attacks on several Lurkers may be linked to Ambassador Kosh. An internal affairs investigation of Sinclair forces him to answer for his recent command decisions. Ivanova confronts a member of Psi-Corps, as well as her own fears, when she is told to submit to a scan. A girl entering puberty exhibits telepathic abilities, and the crew must decide whether to turn her over to the Psi Corps. The corpse of the Minbari military leader who oversaw the Battle of the Line is the focus of a diplomatic incident. This episode was a toss-up. Most here is repeated elsewhere. Seismic activity on the planet near the station uncovers what may be signs of an extinct alien civilization. An old mentor pays a visit to Ambassador Delenn. The unrest on the Mars Colony intensifies. Sinclair fights two turf battles at once as alien invaders claim the planet the station orbits, and an Earthforce captain disagrees with him about how to deal with the situation. Babylon 4 returns as abruptly as it vanished, but its reappearance may bode ill for the future. Delenn receives a momentous offer. This, as well as the previous two-part episode, will have ramifications in later seasons. Can't be missed. Talia is involved in carrying out the sentence of a convicted murderer. Dr. Franklin investigates a possible medical scam in Downbelow. Londo takes Lennier for a look at the less savory sections of the station. First Season finale. A dying man leads Garibaldi to a discovery that could cost him his life. Londo receives help in a dispute with the Narns. Something begins to happen to Delenn.